The exterior of this Bilton Ward property has been given the same meticulous attention to detail as the interior. The finest of materials and finishes have been used. 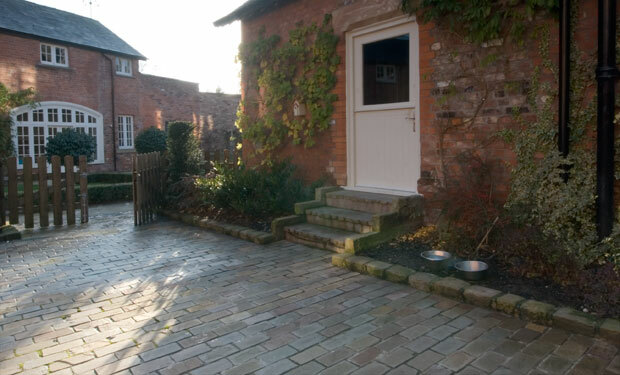 Block sandstone setts pave the gated entrance and driveway that surround the converted stables. The Garden area is luxuriously paved in honed travertine which also forms the fish pond and fountain as well as the steps allowing the kitchen to open on to the garden. The travertine paving is accented with contrasting edge detail using jet black granite block setts.